The Camrost Felcorp App is desgned for real-estate professionals. With the App you can search and find your clients dream home in our newest communities. Renderings, Floor plans and views are all simply and elegantly displayed on the iPad. 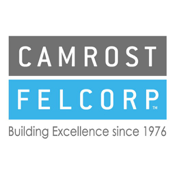 Please Note: To use the app you need to be a registered realtor with Camrost Felcorp. Please email info@Camrost.com to request a user name and password.